79 sq. Mtrs. Open concept loft condo w/seaview. Ideal for big group of families/ friends who want comfortable place to stay while on vacation. Convenient to everything. Located in a very central area. Few Steps away from bànks, rest., supermarkets, spas, salons, bars, schools, churches, hospitals,etc. We had 1 open bedroom with queen & semi double bed. Accommodate up to 8 persons. We provide extra matresses for extra persons. Sofa is big enough for sleep. Connected to the bedroom is spacious dressing room W/bathtub. It is fully furnished so you can cook and enjoy everything what’s inside the place. We had free unlimited wifi. Our place is one of the best location for Sinulog Mardi Gras! We are couple with two beautiful children from Cebu but mostly lived in France. We love to travel and discover different cultures. We want to share our loft since we are mostly out in Cebu. 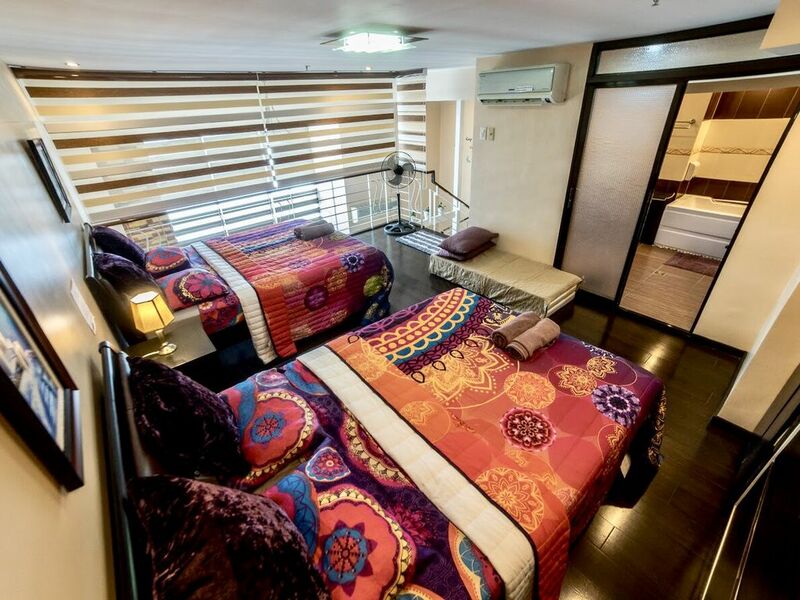 We have this spacious familial loft condo for our vacation and for rental space when we are not around. Located in a very central area in Cebu is what we love most. Staying in our place is like living a local Cebuano because of the accessibility. May charge per hr. direct from the bldg. 3 bar chairs are also comfortable to sit on. Use of pools may ask extra charge. Request additional matress after 5 guests. Crib is upon request.